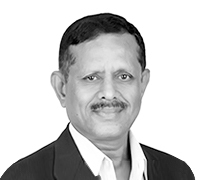 KP Balaraj is a co-founder and Senior Advisor of WestBridge Capital India Advisors Private Limited. KP currently serves on the boards of Aptus Value Housing Finance India Limited, Coffee Day Global Limited and WestBridge Capital Advisors Private Limited. KP has also led the recommendations on investments in Cholamandalam Investment and Finance Company Limited, MindTree Limited and Prestige Estates Projects Limited. KP has previously served on the boards of 7Strata Inc., Apna Paisa Private Limited, Astra Business Services Inc., Brainvisa Technologies Private Limited, Digital Signage Networks India Private Limited, Firstsource Solutions Limited, Flight Raja Travels Private Limited, Indecomm Corporation, Intercept Technologies India Private Limited, K12 Techno Services Private Limited, Manappuram Finance Limited, Manappuram Finance Tamil Nadu Limited, Pearson India Education Services Private Limited, Royal Orchid Hotels Limited, Sequoia Capital India Advisors Private Limited, Tarang Software Technologies Private Limited, TravelGuru, Vasan Healthcare Private Limited and Tutorvista Education India Private Limited. KP was earlier part of Goldman Sachs where he served as a member of Goldman-backed funds and operating companies that focused on private equity in Asia. KP holds an MBA from Harvard Business School and a BS in Business Management from Brigham Young University, Hawaii, where he graduated as valedictorian of his class. He is a former top ranked national tennis player, having represented India at the international level. 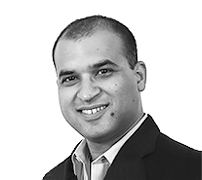 Sumir Chadha is the founder and Managing Director of WestBridge Capital US Advisors, LLC. Sumir currently serves on the board of India Shelter Finance Corporation Limited and Vistaar Financial Services Private Limited. Sumir has also led the recommendations on investments in Astral Poly Technik Limited, Cognizant Technology Solutions Corporation, Greenply Industries Limited, Mayur Uniquoters Limited, Relaxo Footwears Limited, TVS Motor Company Limited, and V-Mart Retail Limited. Sumir has previously served on the boards of Bharat Financial Inclusion Limited (formerly known as SKS Microfinance Limited), Astra Business Services Inc, Celetronix USA Inc., Cotton County Retail Limited, Emagia Corporation, Global Logic Inc., Guruji.com, Intercept Technologies Private Limited, MarketRx Inc., Minglebox Communications Private Limited, Pangea3 Inc., People Interactive (India) Private Limited, QuickHeal Technologies Private Limited, Saffronart Management Corporation, Satellier, SCIOinspire Holdings, Inc., Sequoia Capital India Advisors Private Limited, Star Health and Allied Insurance Company Limited, Star Health Investments Private Limited, Strand Life Sciences Private Limited, Tarang Software Technologies Private Limited, Times Internet Limited, WestBridge Advisors Private Limited, Workadia, LLC and Zavata, Inc. and also as Chairman of the Board of Applabs Technologies Private Limited. 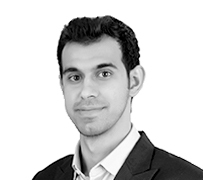 Sumir was previously part of the Principal Investment Area (PIA) at Goldman Sachs in Singapore and New York for three years. At Goldman Sachs, Sumir was involved with private investing in India in 1998. He also focused on making US venture capital investments for two years based out of New York. Sumir has also spent two years at McKinsey & Co. in New York and New Delhi, where he was part of the early team that helped establish McKinsey in India in 1994. Sumir currently serves on the India Advisory Board for Harvard Business School, and on the Advisory Board of the Princeton Institute for International and Regional Studies (PIIRS) at Princeton University. Sumir also co-chairs the Capital Markets committee of the US-India Business Council (USIBC). Sumir has previously served as Chairman of the Indian Private Equity and Venture Capital Association (IVCA). Sumir holds an MBA from Harvard Business School with Distinction, and a BSE in Computer Science from Princeton University. SK Jain is a co-founder and Senior Advisor of WestBridge Capital India Advisors Private Limited. SK has led the recommendations on investments in AIA Engineering Limited, Havells India Limited, Idea Cellular Limited, La Opala RG Limited and Prizm Payment Services Private Limited. SK currently serves on the board of WestBridge Capital India Advisors Limited. SK has previously served on the boards of Brainvisa Technologies Private Limited, Comviva Technologies Limited (Bharti Telesoft), Jataayu Software Limited, July Systems Inc., Paras Pharmaceuticals Limited (as an observer), Sai Advantium Pharma Limited, Sequoia Capital India Advisors Private Limited, Tribi Embedded Technologies Private Limited, Unicon Financial Intermediaries Private Limited and Zenasis Technologies, Inc.
SK was earlier a co-founder and CEO of MeraNet, a college networking site which was started while he was at business school. Prior to MeraNet, he worked with the Pentium Pro Design Group at Intel and the Semiconductor Product Group at Motorola. SK holds an MBA from IIM, Ahmedabad where he was awarded the President's Gold Medal for academic excellence. He also holds a B.Tech. in Electrical Engineering from IIT, Delhi as well as an MS in Electrical Engineering from the University of Minnesota. 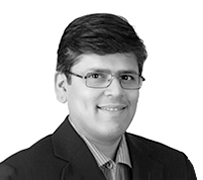 Sandeep is a Co-founder & Managing Director of WestBridge Capital India Advisors Private Limited. He was previously the Co-founder & Managing Director of Sequoia Capital India Advisors Private Limited. Sandeep has previously worked with The Boston Consulting Group at their Mumbai office, where he focused on advising mid-market consumer and pharmaceutical companies on product market strategies. Sandeep started his career with Hindustan Unilever Limited (then HLL), where he headed new product development for ‘Surf’ and ‘Rin’, two of their largest consumer franchises. Sandeep is currently a member on the board of DFM Foods Limited (NSE: DFMFoods), Nazara Technologies Private Limited and Vini Cosmetics Private Limited. 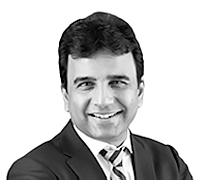 He has previously served on the boards of several listed public companies that include Dr. Lal Pathlabs (NSE: LALPATHLAB), Kajaria Ceramics Limited (NSE: KAJARIACER), Just Dial Limited (NSE: JUSTDIAL), eClerx Services Limited (NSE: ECLERX) and led significant investments in Info Edge Limited (NSE: NAUKRI), Cera Sanitaryware Limited (NSE: CERA) and Ceat Limited (NSE: CEATLTD). He has also served on the boards of various private companies that include Applabs Technologies (acquired by CSC), MarketRx Inc. (acquired by Cognizant), What’s on Media India (acquired by Tribune Digital Ventures), Mauj Mobile, People Interactive (Shaadi.com), GVK Biosciences, Stovekraft, Strand Life Sciences, Just Dial Global, Celon Laboratories, Carzonrent India, Reametrix Inc. and led the investment in Interactive Avenues (acquired by IPG Mediabrands). 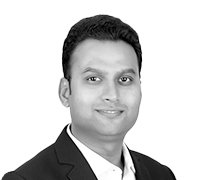 Sandeep is also currently a member of the Limited Partner Advisory Committee of Fireside Ventures Investment Fund I.
Sandeep holds an MBA from IIM Ahmedabad, an MS in Chemical Engineering from the University of Illinois where he was awarded the Abraham Lincoln Fellowship and a B. Tech. in Chemical Engineering from IIT Delhi. Deepak Ramineedi is a Principal at WestBridge Capital India Advisors Private Limited. 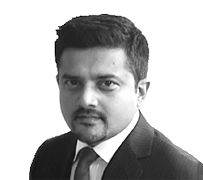 Deepak has been with WestBridge for the last 6 years and has over 9 years of experience in the equities space. Deepak has worked across several sectors like financial services, healthcare, pharma, capital goods, real estate, consumer durables, telecom etc. in both public and private markets. Deepak is on the board of directors of Aptus Value Housing Finance India Ltd and is an observer on the Board of Vistaar Financial Services Private Limited. 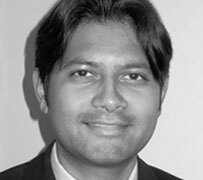 Deepak worked with Credit Suisse for three years as an equities research analyst covering Indian financial services and Indian market strategy. Deepak has received an MBA from IIM Ahmedabad and a B.Tech in Electrical Engineering from IIT, Bombay. 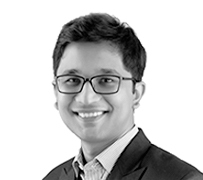 Aditya Agarwal is a Vice President at WestBridge Capital India Advisors Private Limited and has 8 years of public investing and private equity investing experience in India. Earlier, Aditya was part of the investment team at International Finance Corporation in Mumbai for three years. 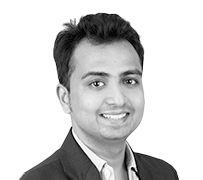 Aditya has co-founded WishBerry.in - India’s largest crowdfunding website. At WestBridge Aditya has been involved in deal sourcing, investment analysis and transaction execution. He has set up several investment and non-investment processes. 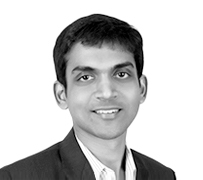 In addition, Aditya has worked closely to execute strategic initiatives across portfolio companies. Aditya received a Bachelors in Electrical Engineering from IIT Madras. Dhruv Chandhok is a Vice President at WestBridge Capital US Advisors, LLC, and has 9 years of experience across the financial services sector in India, including public investing and private equity investing. Prior to joining WestBridge, Dhruv was a part of the corporate strategy group at ICICI Bank in Mumbai where his responsibilities included M&A, capital raising, competition research and investor relations. Prior to ICICI, Dhruv worked with Citibank as a credit analyst. During his MBA, Dhruv did internships with WestBridge and ICICI Ventures. Dhruv received his MBA from the University of Chicago Booth School of Business and has a Bachelor’s degree in Commerce from the University of Mumbai. He is a Chartered Accountant and has cleared the CFA Level 2 examinations. 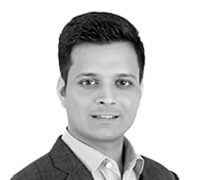 Rishit Desai is an Associate at WestBridge Capital India Advisors Private Limited and has 6 years of public investing, private equity and investment banking investing experience in India. Before joining WestBridge, Rishit was an Associate at Bain Capital Private Equity's Mumbai Office where he focused on growth-investing. Prior to that, he was with Macquarie Capital, where he advised clients on capital raising and mergers & acquisitions. Rishit graduated from Wharton Business School with a major in Finance. At Wharton, Rishit interned at Temasek Holdings (Singapore) and Cartica Capital, an emerging markets hedge-fund based in Washington DC. Rishit has received BSE from Nanyang Technological University, Singapore and has cleared Level III CFA. Rahul Agrawal is an Associate at WestBridge Capital India Advisors Private Limited. Prior to joining WestBridge, he interned as a consultant with McKinsey & Company. Rahul received an MBA from IIM-Ahmedabad, where he was awarded the Gold Medal for academic excellence. He holds a Bachelor’s degree in Commerce from Ahmedabad University and is merit-listed in two levels of the Chartered Accountancy course. 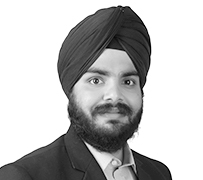 Sahebjeet Singh Arora is an Analyst at WestBridge Capital India Advisors Private Limited. Prior to WestBridge, Sahebjeet was with Bain & Company and has also worked with two early stage companies in the renewable energy space. Sahebjeet has a Bachelor's degree in Chemical Engineering from IIT Delhi. 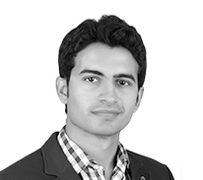 Shaan Chugh is an analyst with WestBridge Capital India Advisors Pvt Ltd. Previously, Shaan worked within the Investment Banking division at Goldman Sachs in New York. Shaan graduated from Stanford University where he majored in Economics. At Stanford, Shaan served as the President of the student investment fund (Blyth Fund) and interned at Asset Management Ventures, Stanford Management Company and Goldman Sachs. 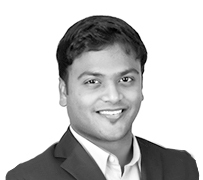 Dheeraj Devata is an Analyst at WestBridge Capital India Advisors Private Limited, and has 5+ years of private equity and investment management experience in India. Prior to WestBridge, Dheeraj was at Prudential ICICI Asset Management’s Mumbai office as the lead sector analyst in the equities team where he led investments into the Utilities & Capital Goods sector and the broader Midcaps space. During his Chartered Accountancy, he did his internship with Deloitte Haskins & Sells in their financial assurance team. Dheeraj is a CFA charter holder, a FRM charter holder and a Chartered Accountant. He also holds an undergraduate degree in Economics from Mumbai University. 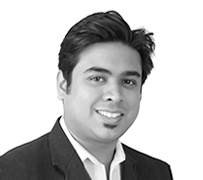 Ankit Gupta is an analyst at WestBridge Capital India Advisors Private Limited. Prior to joining WestBridge, Ankit worked at International Finance Corporation (a private investment arm of World Bank). Ankit holds a Bachelors of Technology degree from Indian Institute of Technology, Delhi and has cleared level III of CFA program. Neehar Jathar is an Analyst at WestBridge Capital India Advisors Private Limited. Previously, Neehar was with the Boston Consulting Group as an Associate and worked on strategy and implementation projects, primarily in the consumer and retail sector. 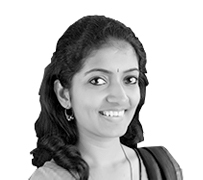 Neehar holds a Bachelors and a Masters degree in Electrical Engineering from IIT - Bombay. 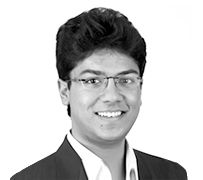 Yash Sidana is an Analyst at WestBridge Capital India Advisors Private Limited. Prior to joining WestBridge, Yash spent close to two years at Boston Consulting Group in Mumbai where he worked in Consumer Electrical, Information Technology, Pharmaceuticals and Banking verticals. Yash received a BTech-MTech dual degree from Indian Institute of Technology (IIT), Kanpur in Electrical Engineering. 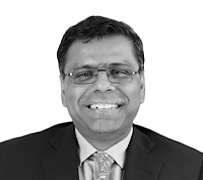 Promit Bhattacharya is the CFO and Chief Compliance Officer of WestBridge Capital US Advisors, LLC, based in San Mateo, California. Promit formerly was a senior member of the finance and operations team for the multi-billion dollar fund of funds program at Hall Capital Partners LLC, a top tier institutional money management firm in San Francisco. At Hall Capital, Promit managed a team of five finance professionals. Prior to Hall Capital, Promit was a Senior Manager, Transaction Services, at Ernst & Young where he primarily assisted private equity firms with accounting diligence of potential investments. Promit began his career at Deloitte & Touche, where he spent 7 years in the audit practice, most recently as an audit manager in Deloitte's San Francisco office, focusing primarily on real estate private funds, manufacturing and public utility clients. Promit grew up in Mumbai and subsequently graduated from the University of Michigan with both a B.A. in Economics, and a Master of Accounting. Kshitij ("KS") Shah is the Chief Financial Officer and Chief Compliance Officer of WestBridge Capital US Advisors, LLC, based in San Mateo, California. KS formerly served as Head of Finance and Head of Operational Due Diligence for Pine Grove Asset Management, LLC ("Pine Grove"), a $1 billion fund-of-hedge funds with offices in New York City and Summit, New Jersey. KS was functioning as the Pine Grove’s Chief Financial Officer since 2010 and was a member of the Pine Grove's investment and risk management committees. He also chaired the Pine Grove’s valuation committee. Over his past nine years at Pine Grove, in addition to managing investment and back office operations for Pine Grove funds, KS also conducted more than 250 operational due diligence reviews of various alternative investment firms that Pine Grove was evaluating. KS has also been a speaker and expert panel member at a variety of industry conferences including those hosted by the Managed Funds Association (MFA), GAIM Ops, and Infovest. Earlier in his career, KS was a Manager in the Capital Markets Advisory Group at Deloitte in New York, where he had extensive experience in auditing hedge funds. He is a Chartered Accountant (CA) from India, has an MBA in finance from University of Notre Dame, and holds a Bachelor’s degree in Commerce from the University of Mumbai. 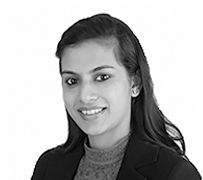 Shobitha Mani is a General Counsel at WestBridge Capital India Advisors Private Limited. 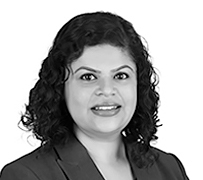 Prior to joining WestBridge, Shobitha was an equity partner at Wadia Ghandy & Co., a pan-India law firm and was based out of Bangalore. 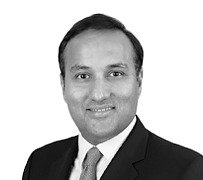 At Wadia Ghandy her practice areas included private equity, Indian and foreign venture capital, fund incorporation, regulatory advice, mergers and acquisitions and general corporate law. Shobitha has advised several Indian and foreign private equity funds on their investments and divestments in Indian companies. She has also helped establish and register venture capitals funds in India and overseas and foreign institutional investors with Securities and Exchange Board of India. She has also advised on financial regulatory issues, including compliance issues in relation to financial institutions and intermediaries. Prior to joining Wadia Ghandy as an Associate in 2005, Shobitha worked as an Associate with Amarchand & Mangaldas in Mumbai. Shobitha is an alumna of the National Law School, Bangalore. Vikas Gupta is the Finance Controller at WestBridge Capital India Advisors Private Limited. Vikas has extensive experience in the areas of accounting, taxation, investor reporting, investments closing and compliance with Indian and Mauritius laws relating to foreign investments. 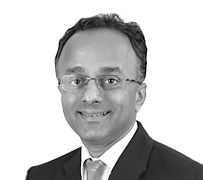 Prior to working with the WestBridge Funds, Vikas was with Jacob Ballas Capital India for about eight years where he was the Senior Manager in charge of Finance and managed the operations of their three India focused funds. Prior to Jacob Ballas, Vikas has worked with Deloitte in their assurance division. Vikas is a Commerce graduate from the University of Delhi and is also a member of the Institute of Chartered Accountants of India. K. Ramanathan (Ram) is the Head of Finance and Company Secretary at WestBridge Capital India Advisors Private Limited. Ram has extensive experience in the areas of fund accounting, reporting, and compliance with Indian and Mauritius laws relating to foreign investments. Prior to working with the WestBridge Funds, Ram was with Sequoia Capital India for more than seven years, where he was the company secretary and General Manager in charge of Finance. Ram’s work experience also includes a stint within the Finance department of ICICI Venture. Ram is a Commerce graduate from the University of Madras and has an MS in Accounting from the Institute of Chartered Financial Analysts of India (ICFAI). He is also a member of the Institute of Company Secretaries of India. Maria Cheeran is an Associate, Legal & Compliance at WestBridge Capital India Advisors Private Limited. Prior to joining WestBridge, Maria worked with Law firm Amarchand & Mangaldas (now Cyril Amarchand Mangaldas) in the General Corporate Advisory Team. Maria holds a Bachelor's degree in Law from NALSAR University of Law, Hyderabad. Vidya Roopini is an Assistant Manager - Finance & Accounts at WestBridge Capital India Advisors Private Limited. Prior to WestBridge she spent a year with ICICI Bank in Credit Mortgage division. She had also carried out Audit Assignments independently. Vidya Roopini is a Chartered Accountant (India) and has a Bachelors degree in Commerce from the University of Madras. This website is updated as of June 8, 2016. Past investment performance does not indicate future results.